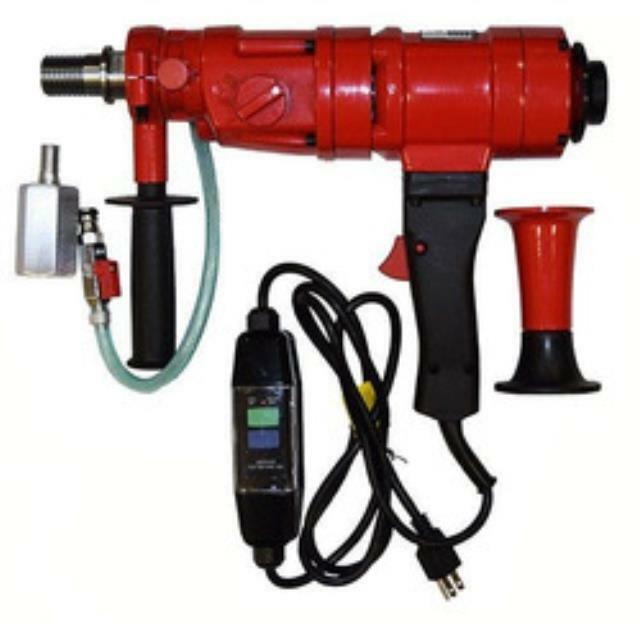 Electric hand held core drill. Can be used for either wet or dry cutting applications. Maximum hand-held bit capacity: 3" bit (wet cut application). Maximum hand-held bit capacity: 4" bit (dry cut application). This unit comes with a water feed system if needed. 1, 2, 3, 4" core bits are available. * Please call us with any questions about our core drill hand held rentals in Oak Grove MO, Blue Springs MO, Independence MO, Lexington MO, Odessa MO, Independence MO and Western Missouri.